Real Estate Agent with Residential, Investment properties, rehab projects, property management, luxury homes, new construction! Automated property valuation service Zillow has been named as a plaintiff defendant (corrected) in a suit by First American CORELOGIC who claims to own the patent on formulas used to do property valuations. Seven other companies were also named in the suit, with Zillow being the name most consumers will recognize but the others also being important in the real estate industry for doing BPO's and appraisals. The story is being reported by the Orange County Register and while ZILLOW has responded that they are not intending to change any portion of their business model at this time, the suit, if successful requires the 8 parties named to cease the use of their patented model AND to pay damages. From a personal view, I have found that ZILLOW's ZESTIMATES are very sporadic in their accuracy. I've seen properties valued very high and some very low. I had someone call me one day that had purchased a home for $230,000 and they called, upset because ZILLOW had it valued at $140,000 and they were mad at me for getting them into a house so upside down. Fact of the matter was that they actually had about $12,000 in equity when REAL comparable sales were pulled. Texas is a non-disclosure state, meaning that Zillow does not have access to the actual sales data. 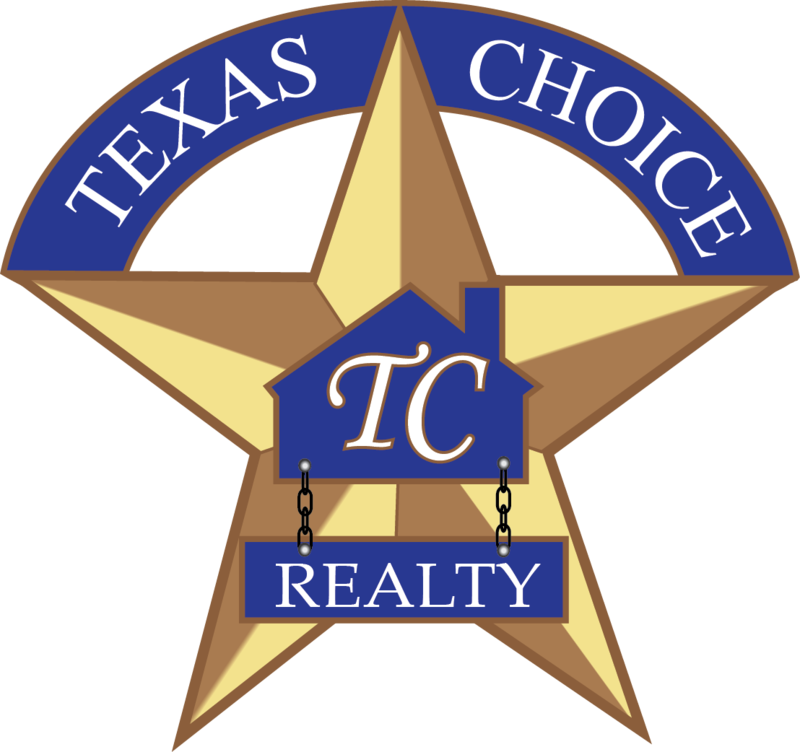 Call us now if you are looking to buy or sell a home in the West Houston, Katy and Cypress area! We are the Katy and Cypress area specialists! Oh, don't get my started on Zillow! They're so off in my area (usually very low) it isn't funny! Sellers should be suing them! As has been mentioned, even though Zillow explains that their Zestimates are crap, buyers don't want to read that fact. They see a home with a Zestimate of $268,000 (that I ended up selling for $330,000), and what does the buyer want to see? $268,000! Even if I go back to that buyer and say, look - this sold for $330,000, Zestimates are not accurate, that buyer is still going to think I found a stupid buyer. I hope that this will end the battle I have with some clients who want to low ball property because Zillow said ya-da ya-da and they are almost 95% off. When I get into these spats, it creates more work to prove that Zillow is soooooo wrong. ARGH!!! This is anohter reason that prospective clients should be using a real estate agent. We know the area and the homes that sell. How can anyone trust a machine that just kicks out numbers. Spencer from Zillow here. I obviously can't comment on the lawsuit, but I wanted to respond to some of the other themes mentioned in this post and in the comments. First, Zestimates are indeed imperfect, as many of you have stated. No one should be surprised by this fact. They're computer-generated, which will always be less accurate than a CMA or an appraisal. We don't purport them to be 100% accurate -- far from it. Heck they even have the word "estimate" in their name, for a reason. In fact, we report our own accuracy statistics each quarter on the website, and we're the only company who produces valuations which does this. No other company is as transparent and open about their accuracy: Cyberhomes, eppraisal, Realtor.com, and others do not come remotely close to Zillow in terms of transparency on accuracy. In addition, we recalculate the Zestimate based on edited property attributes when we get new information from listings. So Zestimates improve as we get more listing information on the website. Automated valuations aren't going away. In fact, they're about to become front and center: your own Assocation (the NAR) is getting ready to launch their own AVM which will appear within Realtor Property Resource (the Realtor-facing website). They're doing this because they realize that AVMs are important, albeit imperfect. This is also the reason that the NAR's consumer-facing website (realtor.com) also has AVMs on it (it's just that no one ever talks about those valuations because Zestimates and Zillow have all the consumer buzz!). AVMs will never be perfect; they're flawed by their very nature. Zillow strives to make ours as accurate as possible, but it will always have shortcomings. What separates successful agents from unsuccessful agents is how good a job you can do explaining your expertise to a client and positioning your expertise relative to what a computer-generated valuation says. In short, many agents use the Zestimate very successfully to gain business. Those who just complain about it and wring their hands in frustration are making a mistake. Use it to your advantage instead of to your detriment. I was wondering when a Zillow rep would stop by. I've seen this response many times over. You blame those of us who complain because we are unable to tell buyers what a crock the Zestimate is. Oh, but I do tell buyers - you see, I have actual proof. What you will not concede is what many of us are saying here, buyers want to believe a huge, national real estate portal because that Zestimate was their first impression, which we agents now have to work even harder to dispel. They do not read the small print about Zestimate = estimate. If they like the lowball Zestimate, this is what they want to believe. It's human nature. (Same with a seller with a high Zestimate - they'll be inclined to believe that because it's what they want to believe - fact or not). And now there's a place for agents to have to explain why Zillow is valuing a property too low - I can just see buyers snickering about that agent or seller "blowing up value". I can see buyers viewing that as a box of lies or excuses on why the asking price is so much higher than the Zestimate. They feel, "It's a buyer's market, therefore the lower Zestimate must be correct. So now agents have to defend their asking price. Thanks for the extra work. I hate Zillow. So inaccurate and consumers feel they know the market based on using zillow. I've had to correct many a buyer and seller with regard to zillow. Have you guys - or you Zillow - ever read the "Zestimates Value & Accuracy" page - if you can't find it look at the VERY bottom - text is very light gray - It's bascially a "we're pretty accurate, but not always accurate, I mean sometimes we're accurate, but sometimes we're not, it all depends on how much data we get, and if we don't have enough data it's your city's fault not ours, but we're going to go ahead and say we are pretty dang accurate....if we do say so ourselves"
My biggest headache is people finding a house on there that has sold a year or so ago and is still showing active - our office has a statement from them admiting to inaccuracy in data - anytime we have clients that put their right hand on the Zillow bible - we hand them that statement. So they are being sued for stealing a method of coming up with bad property evaluations? That's like big banks suing people for fraud. I agree with Judy Orr. Another Zillow rep has also posted a blog entry on why address are withheld. I tried to explain, but she went on the attack. Oh well. It is funny how they say our job is to convince consumers that they are not accurate and we are better. Why are they telling me this? And why should I have to spend what little time I have trying to convince a customer that the estimate from a site is not right? Makes me look a bit silly when my customer says "Then why is my home on that site if it is so bad?" Well, it is there because the site has grabbed it from another site without my permission and even though I am the agent and my client does not want their property displayed on a auto-valuation site, I have no opt-out capability. In any case, I am done with the silliness of this problem and will let the old "what goes around comes around" philosophy have its way. And if a customer continues to insist, I recommend that, as with many unknown companies, it never hurts to see what the Better Business Bureau has to say. An unbiased source of information can often be beneficial. NAR's consumer-facing website (operated by their partner, MOVE Inc) has an automated valuation model which is a knock-off of the Zestimate. You can find it by going to the homepage of Realtor.com and about halfway down the page on the right side it says "Find home values". Click on "Go" and it will take you here. Now type in any address and you'll see almost exactly what you'll see from Zillow: a computer-generated valuation from your Realtor's association. At the top of the page it proudly states "Official site of the National Association of REALTORs." Here's an example. Their "estimate" does not show its accuracy, it doesn't have a value range, it doesn't allow the owner or agent to comment on it, it won't let you change the property attributes to recalculate it, and in fact it hasn't even been updated since March 20, 2010!! Zillow's valuations on the other hand have all of those features, and are updated 3 times per week. We have disclaimers explaining that Zestimates are imperfect, and we disclose our accuracy. If you are all going to rail against automated valuations, you should tell your Realtor's association that they're not doing you any favors by posting valuations on their website which are two months old. It should be interesting to see what happens. I agree with many above that Zestimates are not as accurate as one might hope in many cases. I got a call for a listing appointment and the seller was telling me how his financial adviser had already told him what is home was worth and then went on a tirade about how he lost all his equity. I asked where his adviser got his information and he said the adviser knows the market area. I explained I would show him my CMA at our meeting, but just for fun I went to Zillow to see if their data matched what this person said. Amazingly it did right down to the individual pieces of property he quoted. It took 45 minutes to convince him that the information I was giving him was more accurate then the information his adviser had pulled even though I was showing him a higher value. It's scary what is perceived as reliable information. It will be curious to see how Zillow and the others do business over the next couple of years. Realtor.com needs to step up the service and reduce the cost to the REALTOR. I too am pretty sick of Zillow haunting threads with the same old, same old tired arguments. If you aren't offering something of real value (and in this case it is accurate information) then you are not providing a valid service. Ruthmarie, any thoughts on NAR's valuations appearing on their official website (Realtor.com)? Don't you find that a bit strange? The world is sue happy. Where will it end. How many people can I sue? I could just quit working for a year and start a lot of law suits. Maybe one of them would take. My colleagues, I have read the majority of your comments which leaves me little to say that has not been said. I too believe that ZESTIMATES have little useful function. Even Spencer Rascoff (Zillow) made some reasonable points. I expect that Zillow's attorneys may use the gross inaccuracies as a defense in the law suit. To which First American CORELOGIC could counter that it is not the predictive value that they were deprived but the entertainment value. So perhaps Zestimates do have some worth. I am no more a fan of Realtor.com than of zillow. BOTH of you have shown yourselves to be pretty much useless. In order to be useful, you need to perform useful service for the agent/broker or consumer. But your sites really don't do that. So at the end of the day both of you are merely middle men trying to stuff your pockets with a slice of each transaction. Realtor.com treats the agent like a money cow. You are trying to find a way to treat the agent like a money cow. It's the same-old, same-old in a different guise. The sizzle of the zestimate drives consumers to your site. Being valuable is very different from being popular. In truth you offer virtually ZILCH of value to the consumer. I think John Elwell (#70) said it best. Why should he have to spend his valuable time convincing people that Zillow zestimates are about as accurate as shooting darts while blindfolded? The pretzel logic that is being used to say the agent must prove their value by disproving the zestimate with their comps is ludicrous. To make matters worse, as John points out, we are placed on both of these sites either because the listing was grabbed from another site or because all listings go to that site. Either way the choice isn't ours or even our clients. There are serious implications to the zestimate inaccuracies. I think at some point you guys may face a massive class-action lawsuit. Zestimates have impacted the ability of some sellers to sell their homes at fair market value. At the very least, they have cost sellers time and money with increase DOM. Buyers too, may have been impacted because I have seen zestimates work in both directions. Disclaimers aside, your site has proven costly for consumers and a day or reckoning can not come too soon in my zestimation. Seems to me to be the same thing except without all of the disclaimers that come with a zestimate. Residential, Investment properties, rehab projects, property management, luxury homes, new construction! Find TX real estate agents and Katy real estate on ActiveRain.